The largest of Vietnam's islands, Phu Quoc has beautiful white-sand beaches and brilliant west-coast sunsets, interior forests and hills. Designated a special economic zone, bold investment policies and ongoing infrastructure development have generated a slew of resorts and leisure attractions in the last two years, with more set to open by 2020. Several big Vietnamese conglomerates are developing hotels and leisure attractions across the island, and while Vinpearl Group self-manages its facilities, others opt for global hotel brands. Together, they are challenging older four-star local players such as Eden Resort and Saigon Phu Quoc Resort to upgrade their business events capability. These two hotels are perched along the popular Truong Beach on the island's west coast, and are easily accessed from the international airport. Newer deluxe resorts such as Salinda, Famiana and MGallery La Veranda cater to small meeting and incentive groups. Further south, Novotel Phu Quoc Resort opened in January with 326 rooms and suites and 40 villas, 20 with private pools. There are two restaurants, three bars, two swimming pools, spa and tennis court. The high-ceilinged ballroom seats 300 people theatre-style or 210 at banquets, while three meeting rooms have classroom capacity for 18 to 33 people. The resort forms part of the Sonasea Villas & Resort real estate complex developed by the CEO Group. With a total area of 80ha, the complex is among the largest hospitality projects on the island. Although current business is mainly domestic, the combined event capacity for 550 people enables Novotel to tap international business through the AccorHotels network, DMCs and local travel agencies. It organises on-site activities, including poolside barbecues, theme parties and dining with live entertainment, and works with DMCs or tour operators for off-site tours. AccorHotels will also manage upcoming Sun Group properties such as 150 Premier Village seaside and hillside villas and The Sebel Phu Quoc Condotel at Khem Beach in the south. Another Sun Group hotel under construction at Khem Beach is the 250-room JW Marriott Phu Quoc Emerald Bay Resort & Spa, due to open in Q4 2016. The group also plans to develop a resort and entertainment complex on southern Hon Thom island, connected by a 7km-long cable car line to An Thoi town. Vingroup’s sprawling mega-resort at Bai Dai Beach in the northwest comprises two luxury hotels and villas, spa, 27-hole golf course, amusement park, safari park and hospital. A casino is also being built but completion date is unconfirmed. Vinpearl Phu Quoc Resort opened in November 2014 with 607 spacious rooms and suites and 143 villas. The hotel has three restaurants and three bars. Its Sunrise Ballroom takes 700 people in theatre seating and 500 in banquet layout. Five meeting rooms hold between 10 and 20 people each. Vinpearl Phu Quoc Resort and Golf opened in October 2015. Classic French-influenced design and décor permeate the hotel, where 402 rooms and suites all have balconies and views of the swimming pools and wide, white beach. The 220 villas have two to four rooms. F&B options comprise three restaurants and three bars with different locations, settings and menus. There are two 50sqm function rooms for small meetings and events. Vinpearl Land Amusement Park has a waterpark, aquarium, rollercoasters, carousel, and amphitheatre for shows and shops. Phase one of Vinpearl Safari’s 500ha open zoo and safari park opened last December with more than 2,000 animals, free tram rides, shows and retail outlets. Corporate groups can include the amusement park in their meeting package, or combine their stay with golf or safari. The spa is also an attraction. 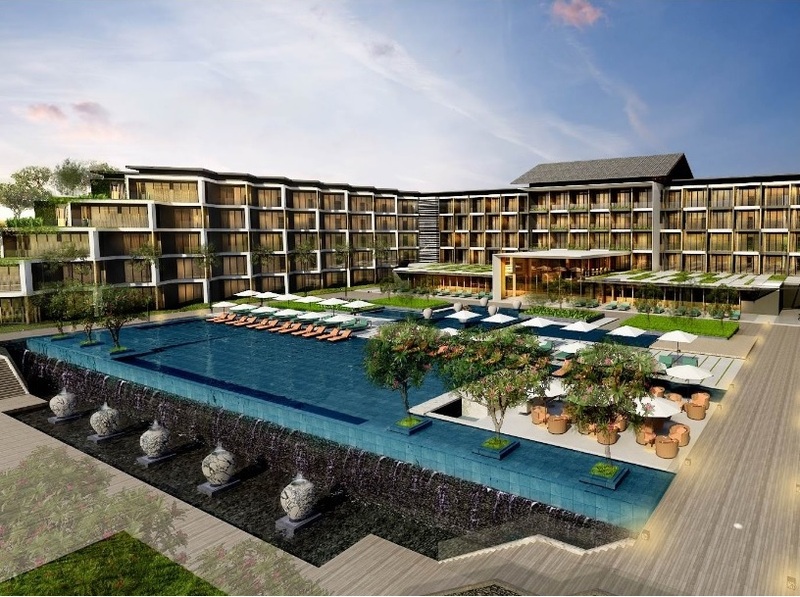 Another development at Bai Dai Beach will see the 300-room Crowne Plaza Phu Quoc Starbay open in 2017. It will cater to business and social events with six meeting spaces. The modern airport, completed in late 2012, lacks international flights, although is well-served domestically. Phu Quoc is under 50 minutes by air from Ho Chi Minh City, and Hanoi is also a major gateway. An international seaport at Duong Dong scheduled for completion next year will enable Phu Quoc to draw cruise traffic. Phu Quoc has great tourism and MICE potential, and hospitality staff show a good service attitude, however fluency in English is limited. Without full-fledged DMCs on the island, planners should liaise with those in Ho Chi Minh City and Hanoi or through their appointed hotel.